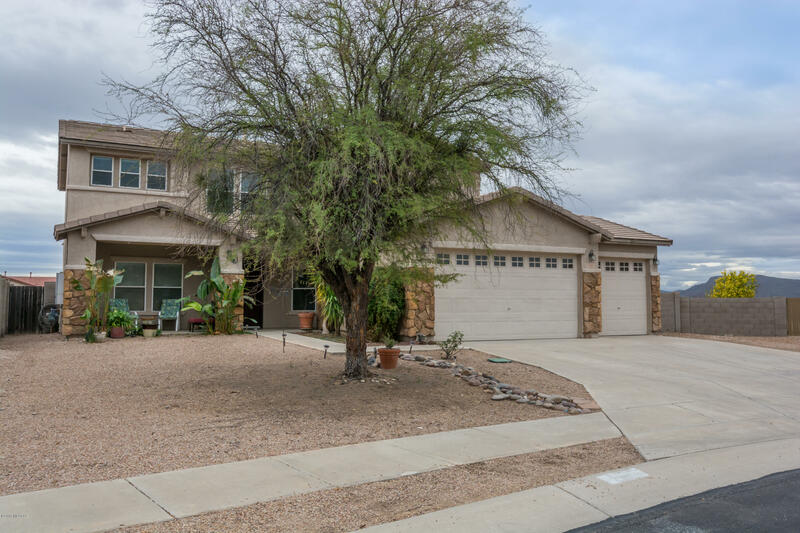 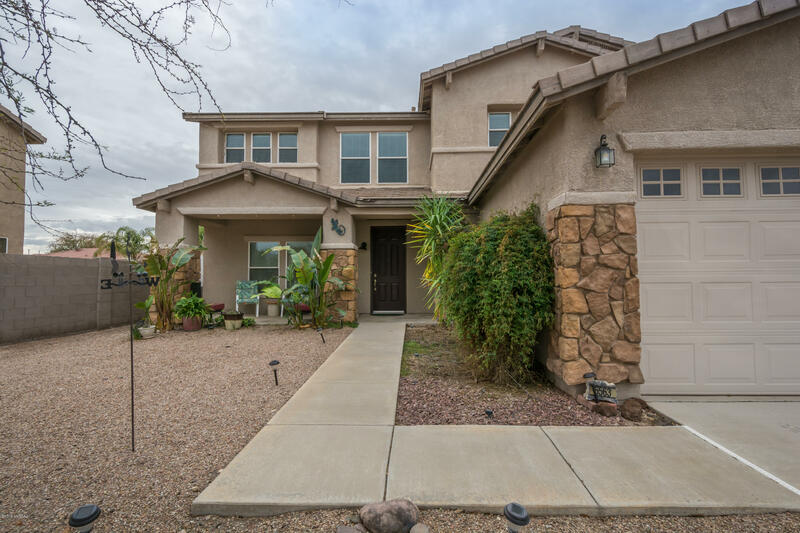 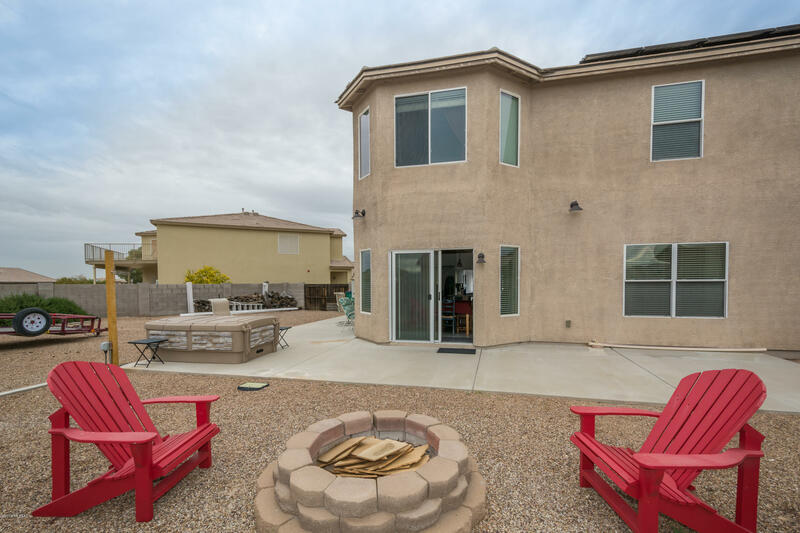 Beautiful 5BR, 3BA home on a large cul-de-sac lot. 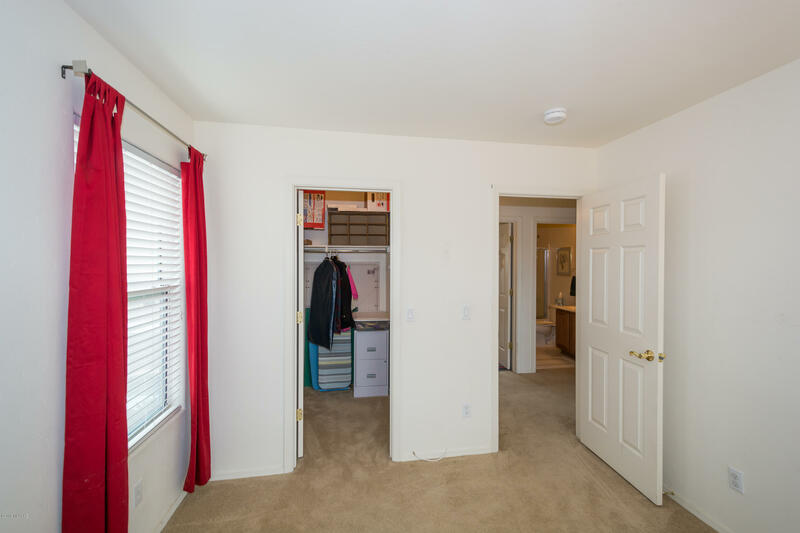 Open floor plan with one bedroom and bath on the first floor. 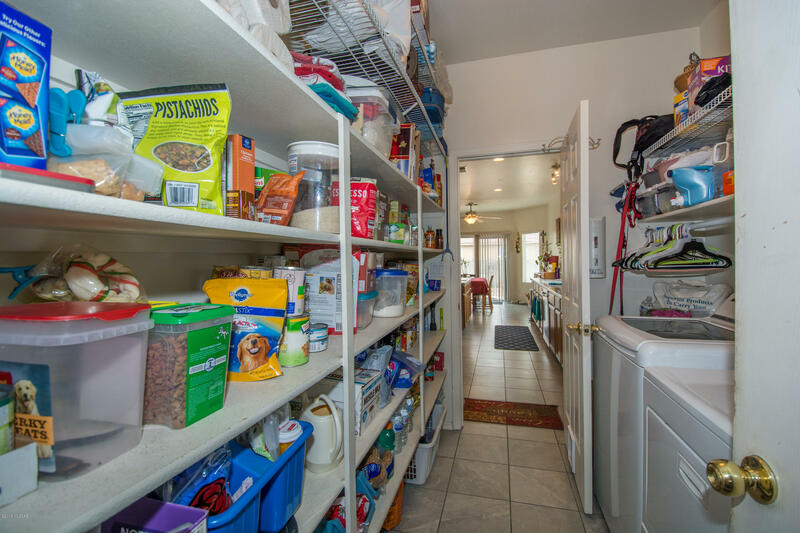 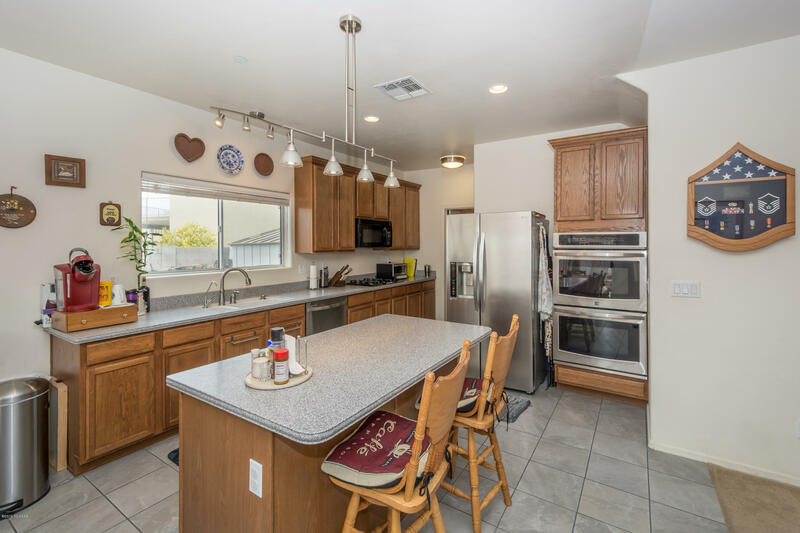 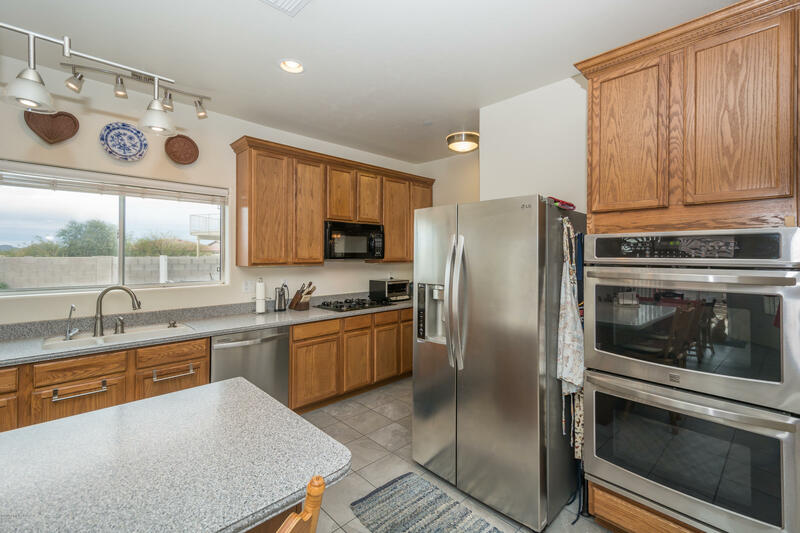 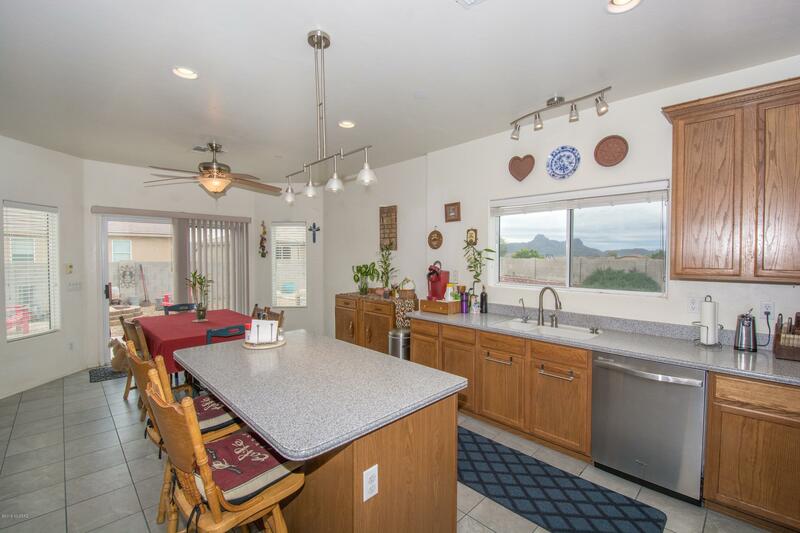 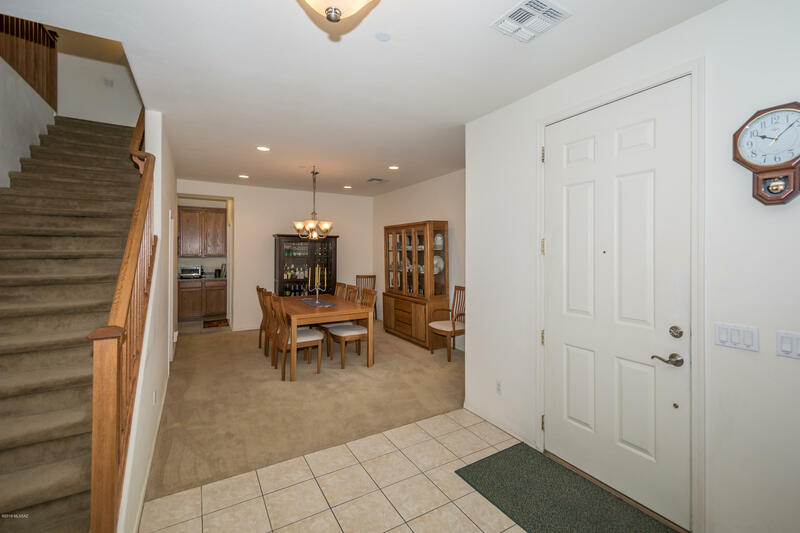 Kitchen has composite countertops and stainless steel appliances with island and eat in area. 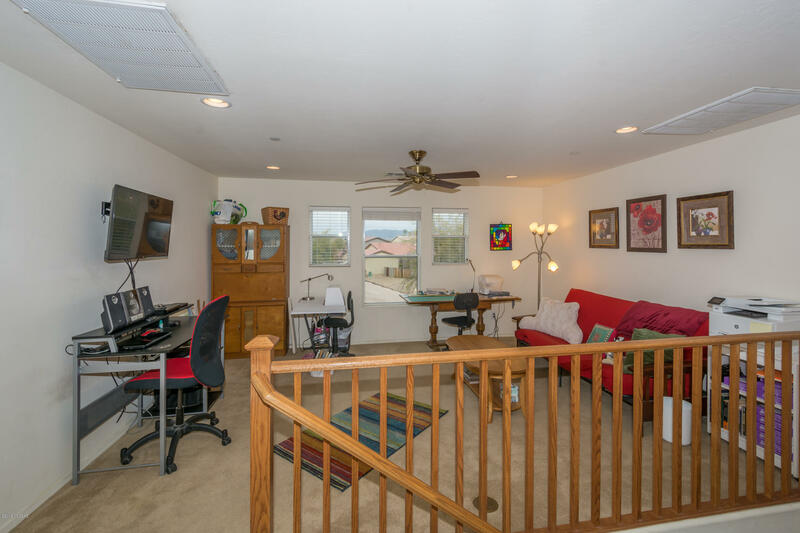 Large family room wired for surround sound, formal dining room and custom built-in shelves in the formal living room and a large loft area upstairs for office/craft/teen room. 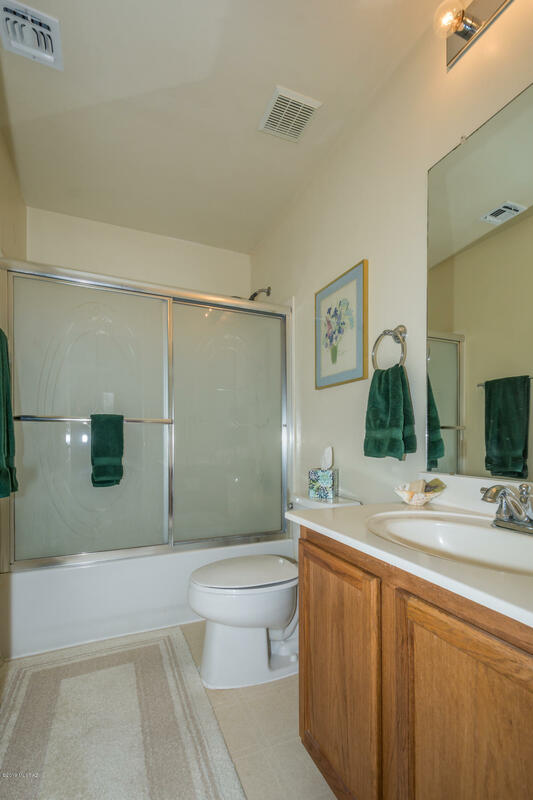 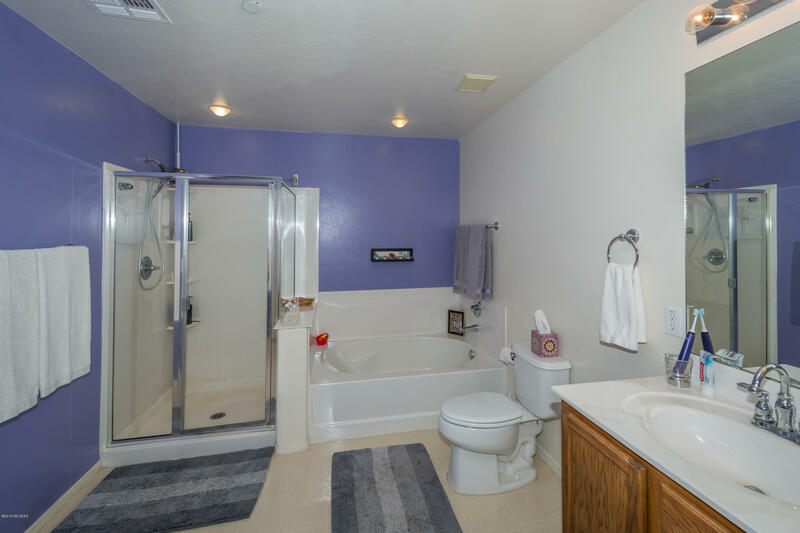 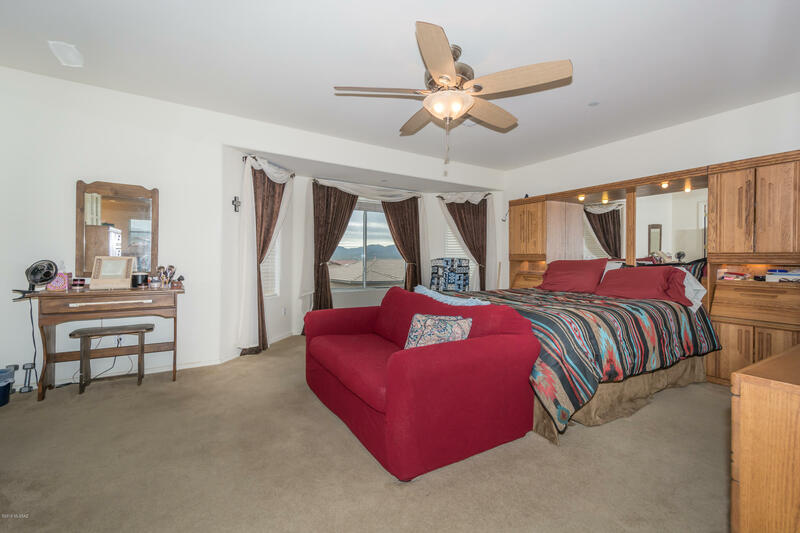 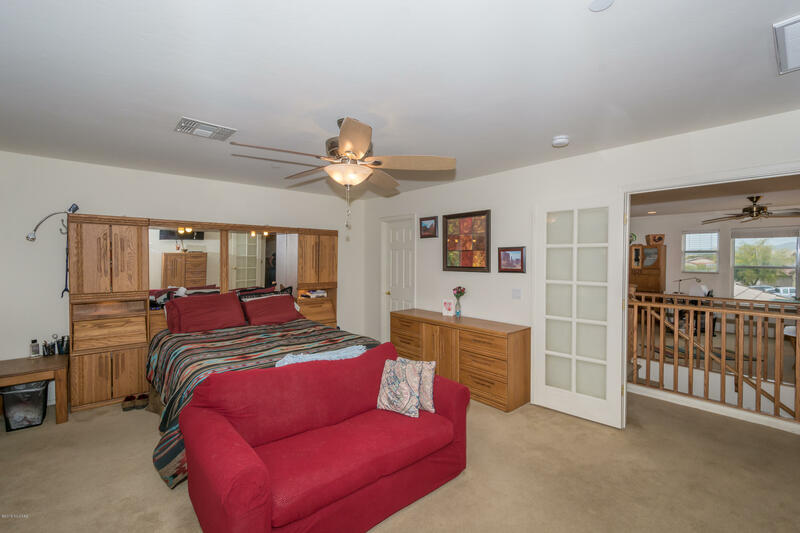 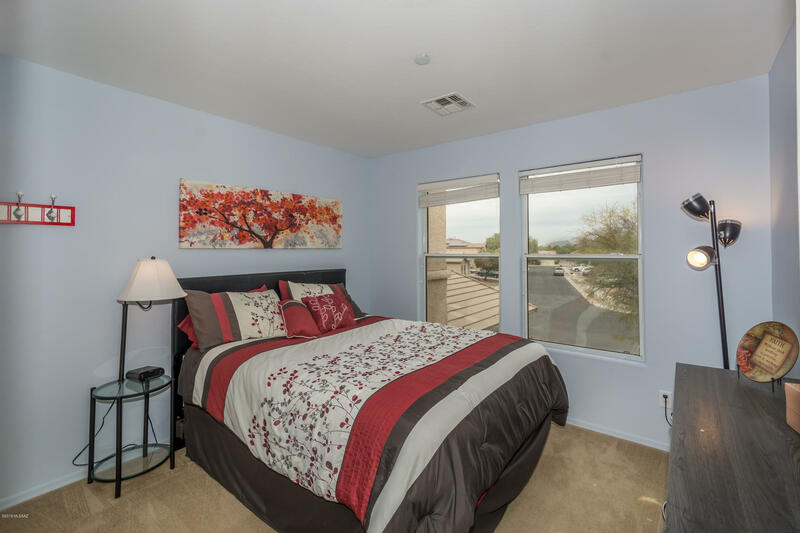 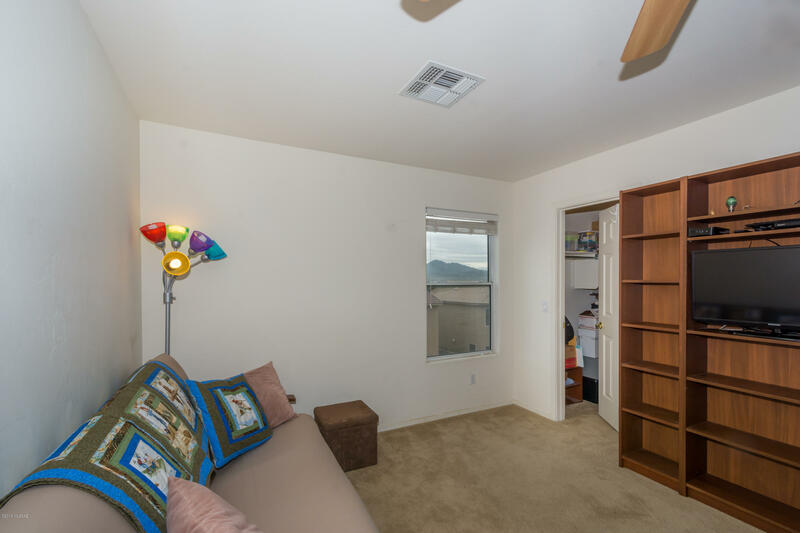 The master bedroom and bath are very open and roomy with great light. 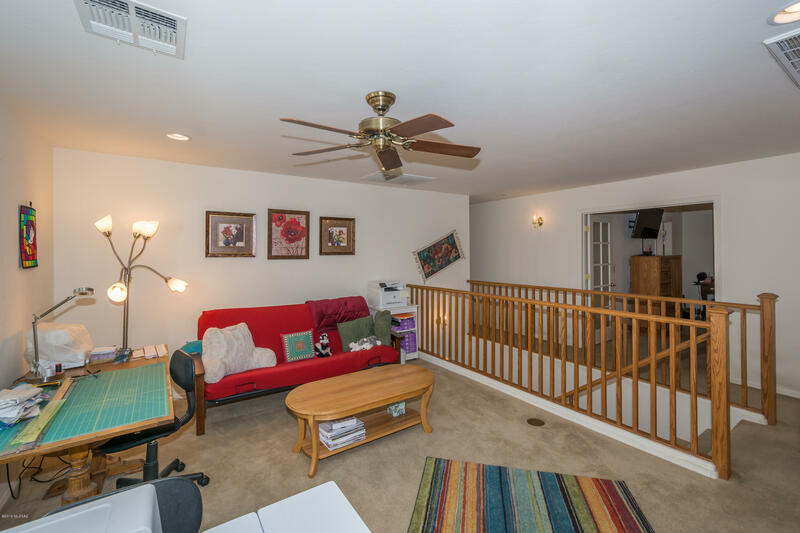 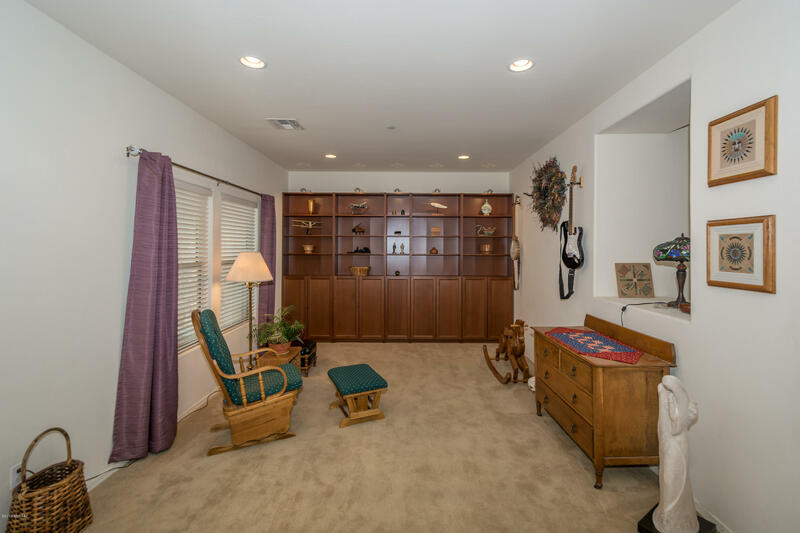 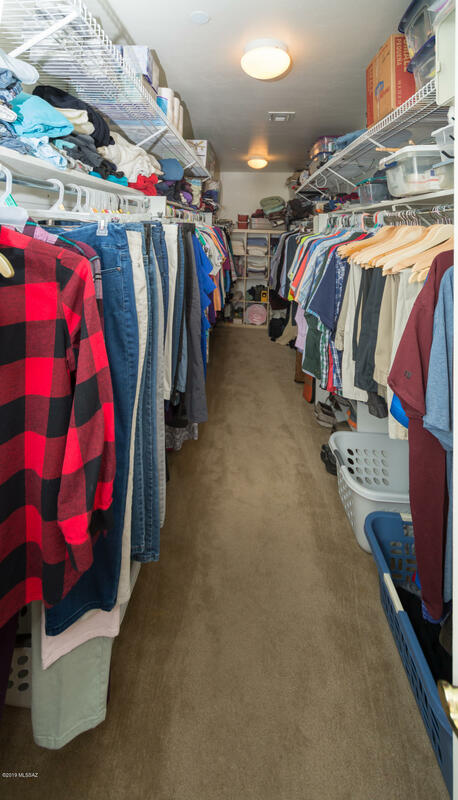 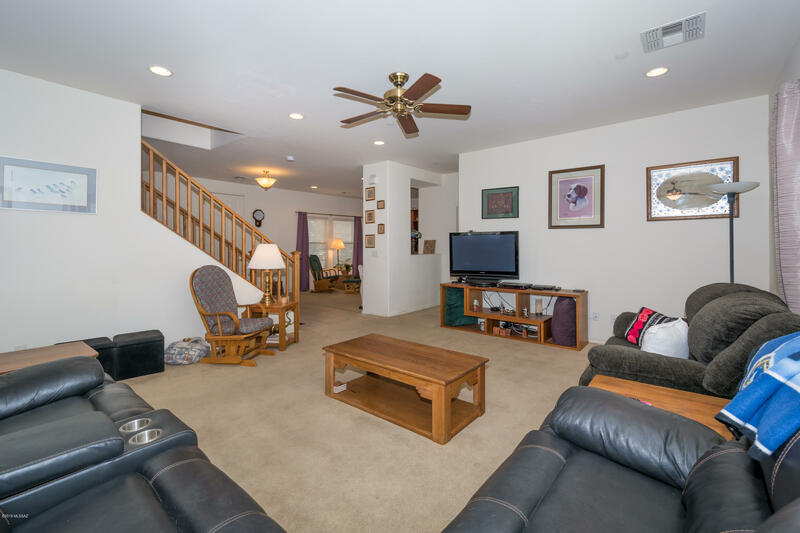 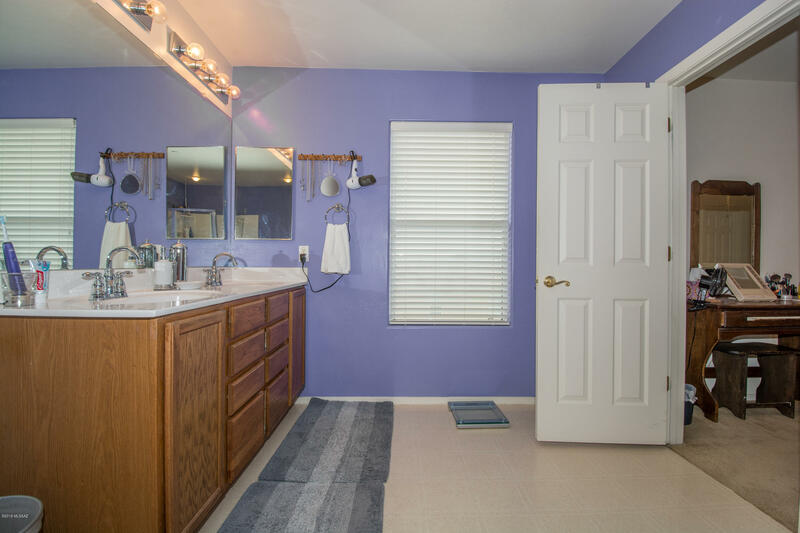 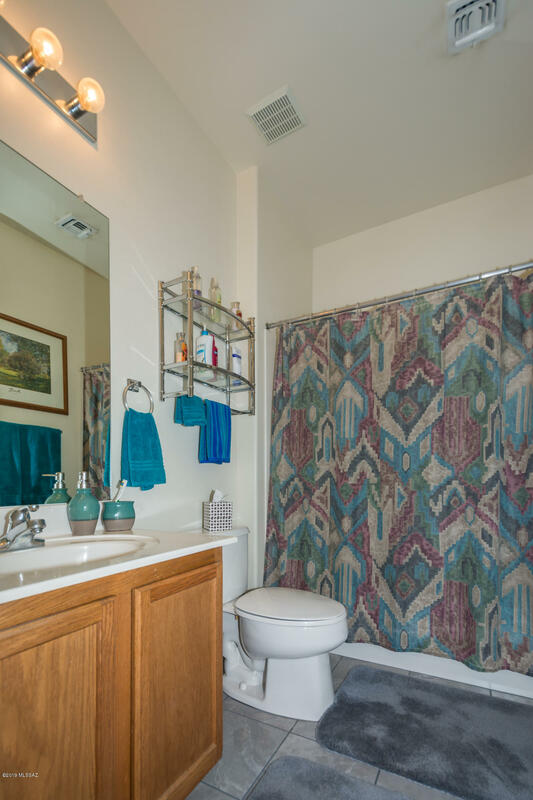 There are three other bedrooms and a guest bath at the end of the hall. 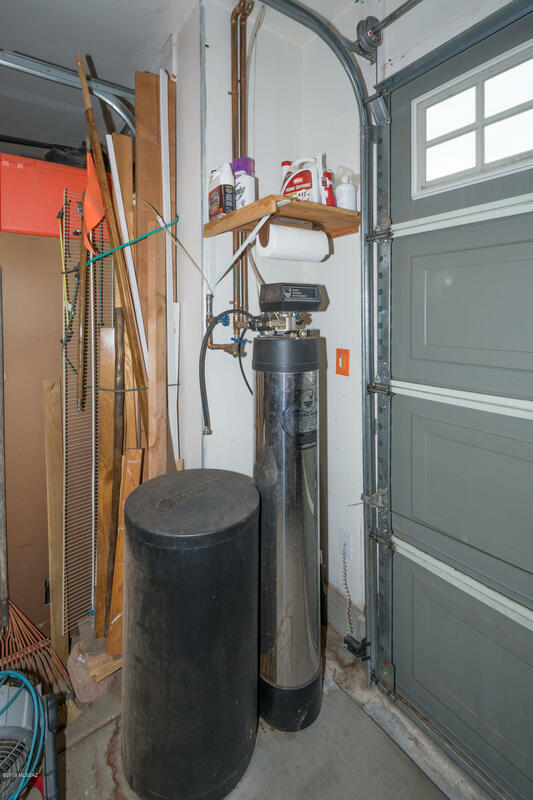 Lots of storage throughout, soft and reverse osmosis water systems along with a complete fire suppression system. 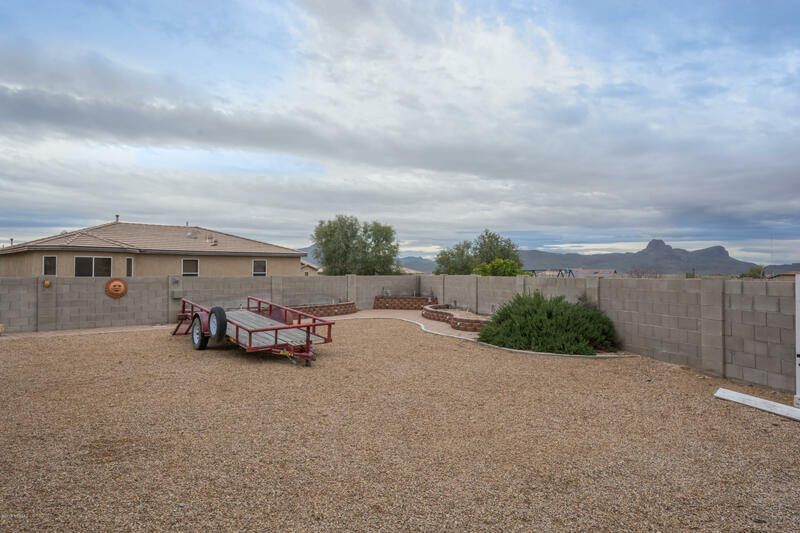 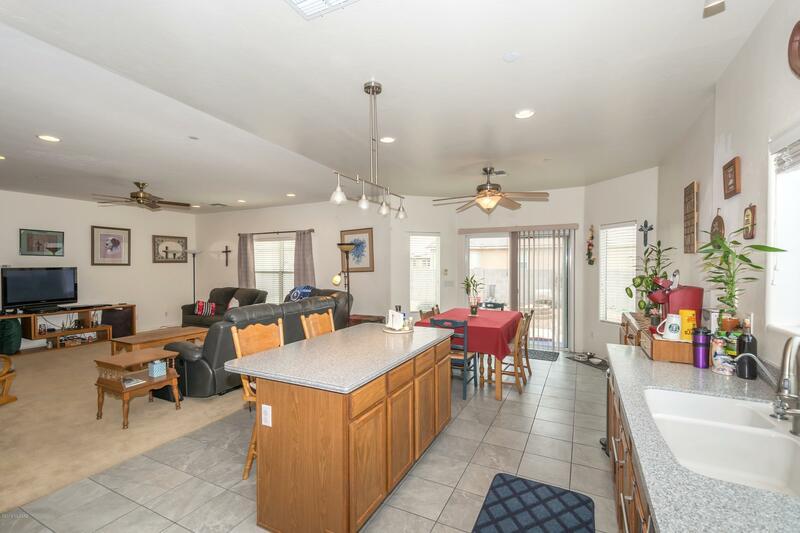 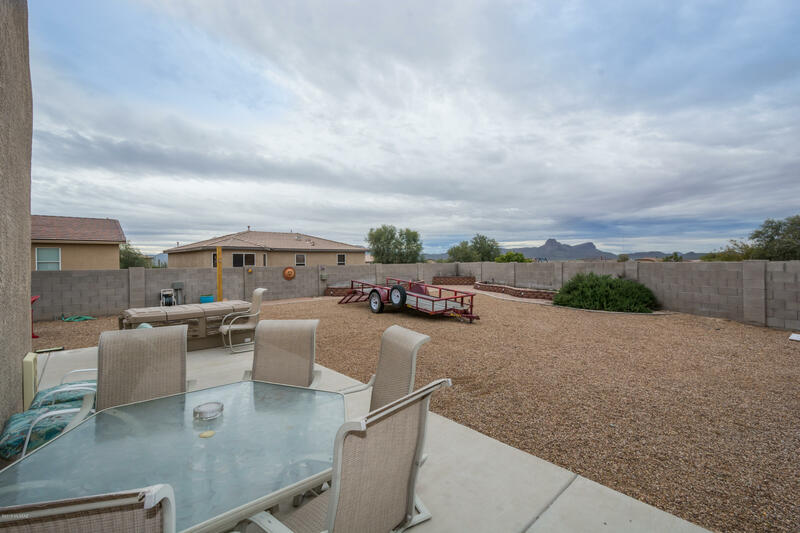 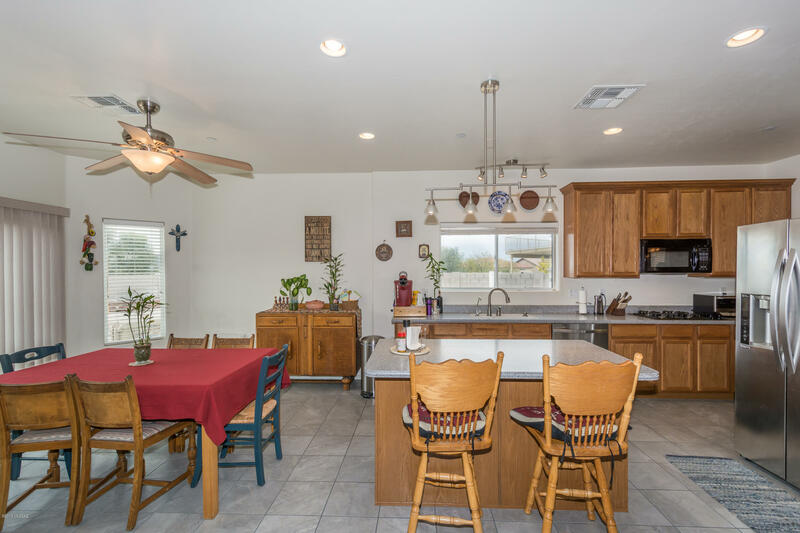 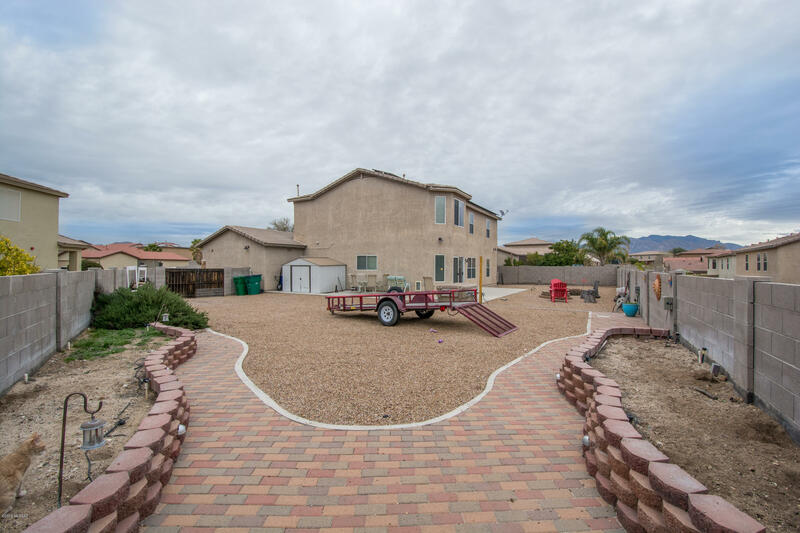 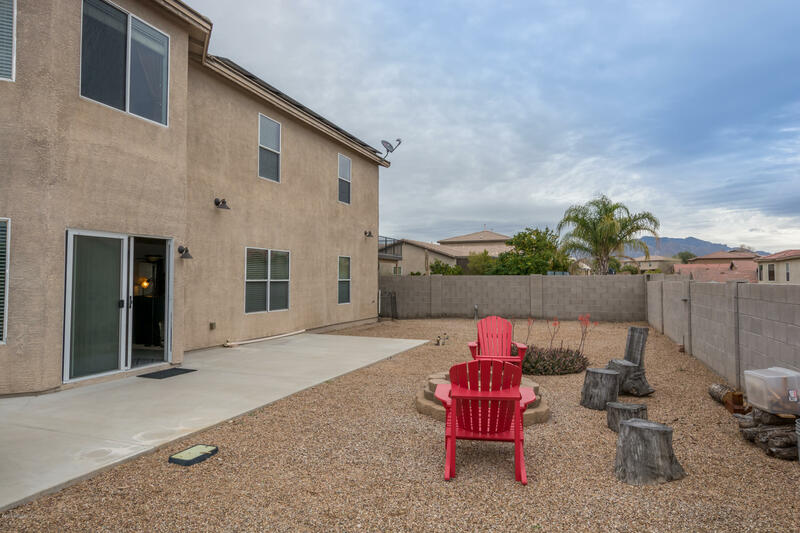 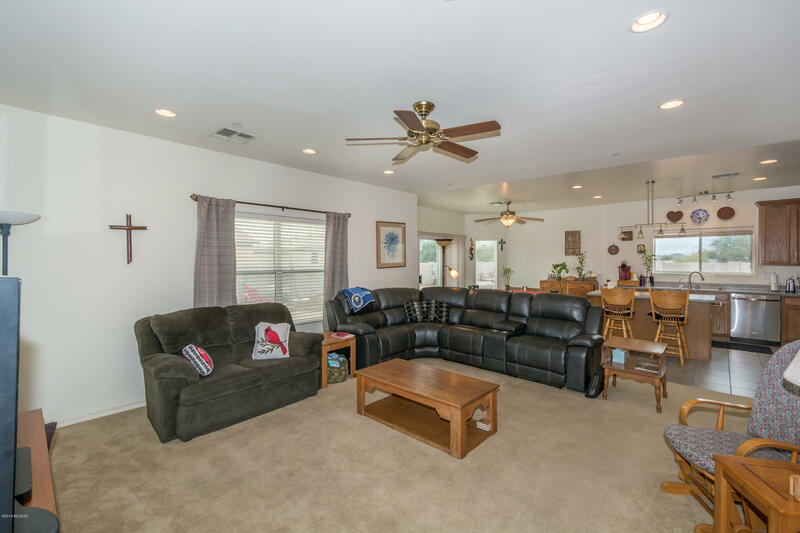 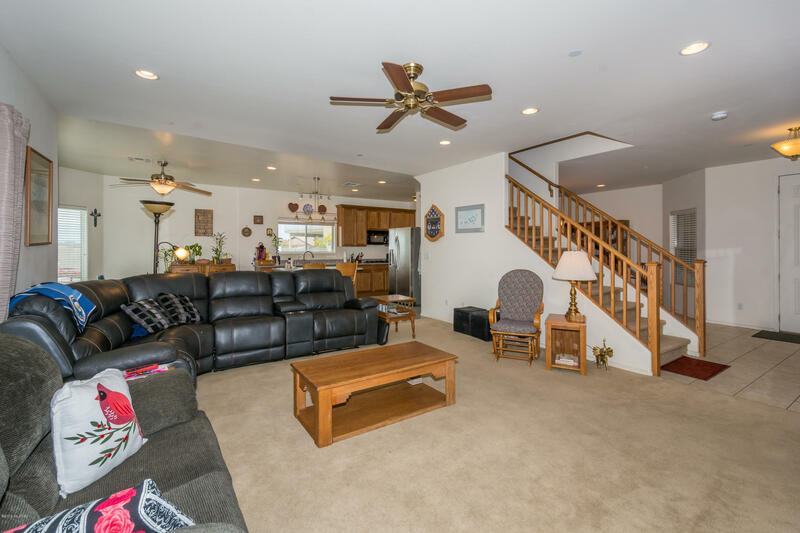 This home has a multitude of uses and has a very large back yard with endless possibilities and sunset views. 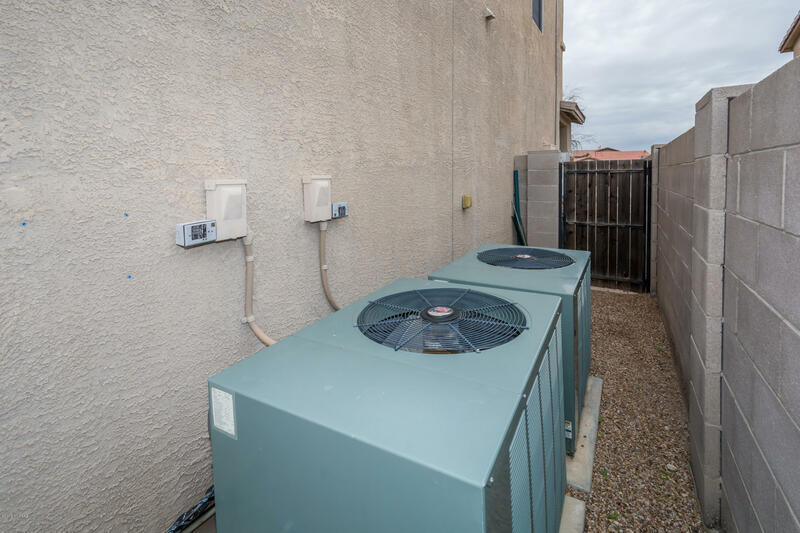 Solar system is leased, buyer to continue lease.